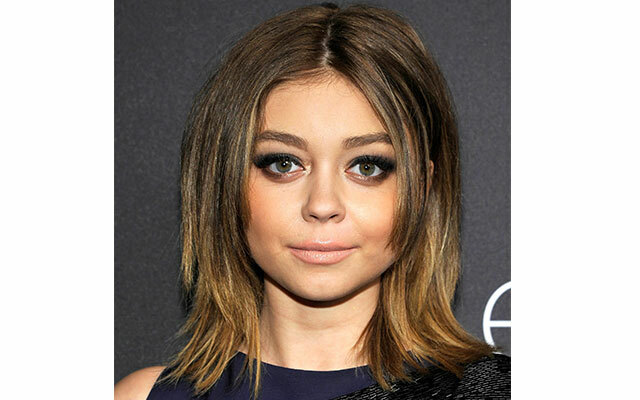 Celebrity makeup artist Allan Avendaño created a seriously seductive, decidedly dramatic look for actress Sarah Hyland. 1. Allan prepped Sarah’s undereyes by using the new Elizabeth Arden Advanced Ceramide Capsules Daily Youth Restoring Eye Serum. 2. He moisturized and softened Sarah's lips with a few swipes of Elizabeth Arden Eight Hour Cream Lip Protectant Stick SPF 15. 3. To create a smoldering smokey eye, Allan used a combination of three different sahdes of Elizabeth Arden's Beautiful Color Eyeshadow. He mixed Sparkling Sable, Bronze Lustre and Sugar Cube. 4. Allan then applied Elizabeth Arden Beautiful Color Precision Glide Eyeliner in Black Velvet on the upper lashline, dragging it towards her temples to create a cat eye shape. 5. 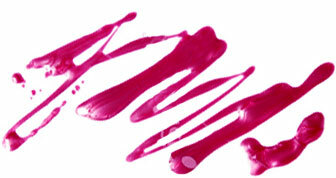 Then he rimmed the bottom waterline with Elizabeth Arden Beautiful Color Precision Glide Eyeliner the Sapphire shade. 6. For flutter and volume, he applied two coats of Elizabeth Arden Grand Entrance Mascara in Stunning Black to her top and bottom lashes. 7. Last, he defined and deepened Sarah's brows with Elizabeth Arden Beautiful Color Natural Eye Brow Pencil in Brownette.